With the low-voltage downlight series CRYSTAL we offer recessed fittings made from crystal glass, creating various prismatic effects of the halogen bulb in use. 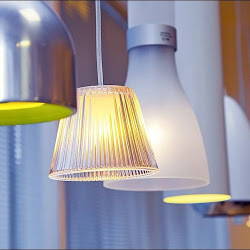 To operate the downlight, a suitable transformer providing 12V alternating current is required. 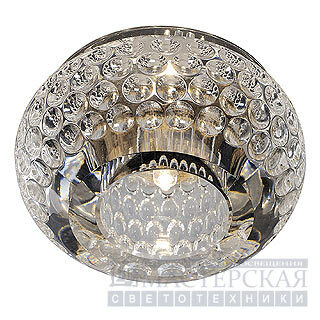 CRYSTAL 4 светильник встраиваемый для лампы MR16 35Вт макс., матир. алюминий/стекло прозр. кристал.